Now that we got through the January slow mode... and we are passed Valentine's Day, let's talk spring! What are the best clothing pieces to transition right in to spring? Keep on reading. If you've followed me for a while you know that I am not a splurger-big-spender. I love nice things but have them few in between. With that said I am all about pieces that I can transition from season to season in my closet and get the most out of my money and I think most of my followers are on the same boat. Because let's be honest, clothes come and go and I like to be smart about the pieces I buy. I love fashion so creating new looks with the same pieces throughout the year is fun for me. So what are 3 pieces of clothes you can transition from winter right into spring? 1. Dresses: I am loving wearing dresses over turtlenecks this season. I love how cool it looks but also the fact that I can wear my dresses right into spring and summer for that matter. 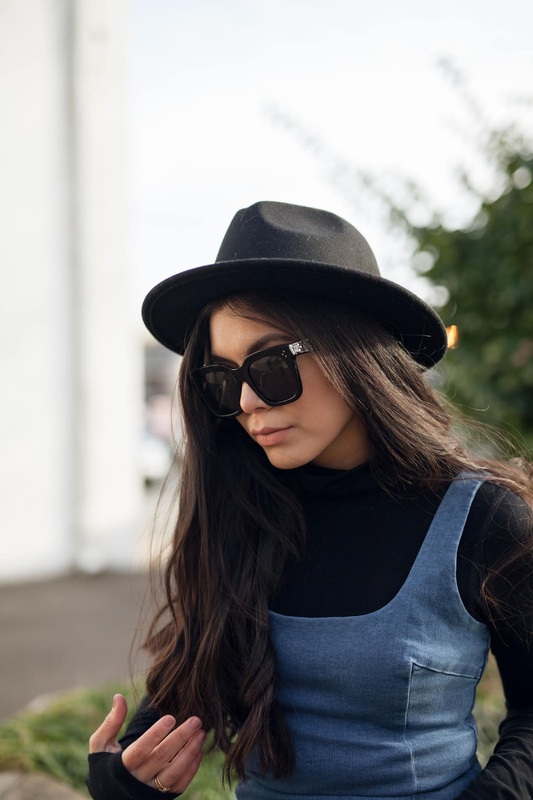 Make it "winter" by adding a pair of over the knee boots, a cool hat and you are set, amiga! 2. Turtlenecks: They are such a versatile piece, who knew right? I wear turtleneck under sweaters, dresses, to work, for a casual date night, to brunch with friends, you name it. I have so many black turtlenecks. I would say get yourself a couple of black, white and gray and you'll be golden. I like to have different length sleeves so I can wear them right into spring. 3. Hats: Not only are they great for hiding that 3 day dirty hair but they also take any outfit from cute to "girl look at you"! I am a fan of wide brim hats as much as I love my adidas cap but this season I've worn my newsboy caps like it's my job! They go with so many of my outfits and instantly take the outfit from blah to voila. Who am I today with all this rhyming lol!? Honestly you can wear hats all throughout the year, so this is one piece of accessory that will give you the biggest bang for your buck. So when shopping for spring this season, go through your closet first and if you find you don't have 1-2 of these pieces I mentioned make sure you put that at the top of your list. Remember: dresses, basic tops and cute hats! Basic pieces that you can transition are your best friend and your bank account will thank you. Save your money for the big long lasting luxury items... like a designer bag! Stay tuned because next week I am sharing our new family room reveal. Dave and I have been working so hard on it and I am so happy with the outcome. Love you guys and hope you have a fabulous weekend!